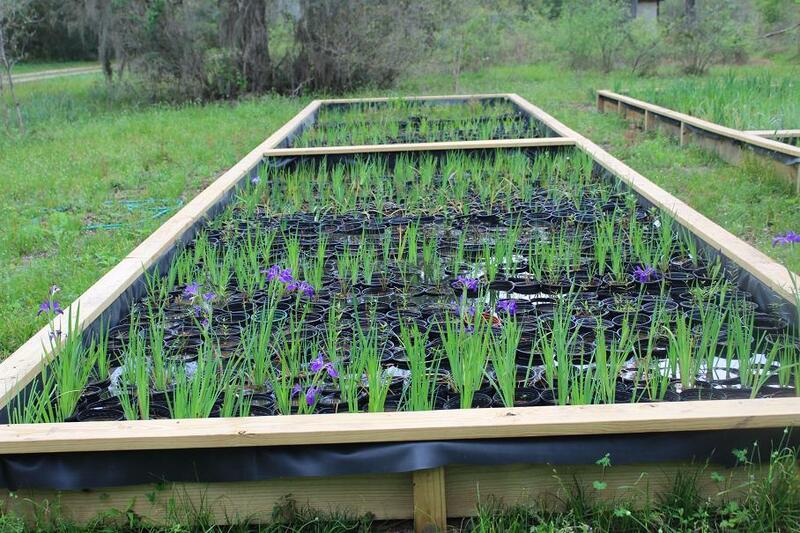 In partnership with GCBO, the Texas Community Watershed Partners (TCWP), part of the Texas A&M AgriLife Extension Service, has opened a wetland plant nursery in the southern portion of the GCBO property. Currently, four shallow above-ground ponds and other propagation areas have been created. 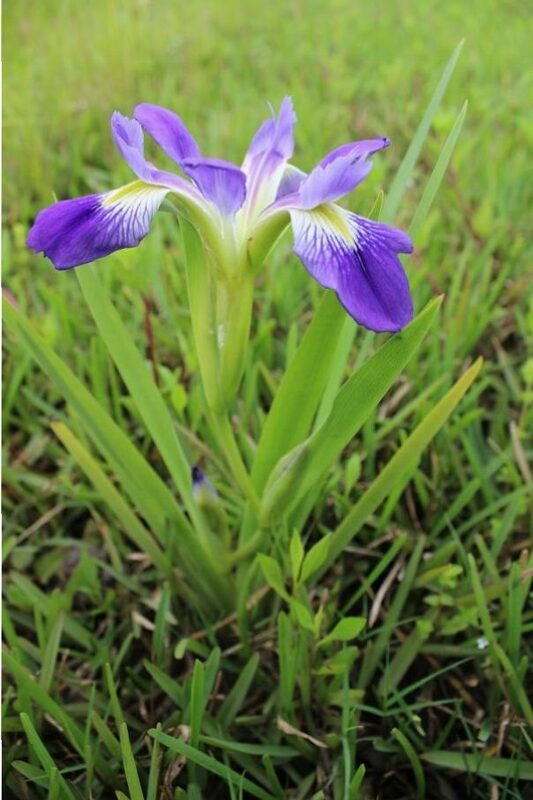 The main objective is to create portable potted specimens of local ecotypes of native wetland plants, many species of which are not available from other sources, for use in local wetland restoration and stormwater treatment wetland demonstration projects. The wetland nursery is not a part of the GCBO retail plant nursery. 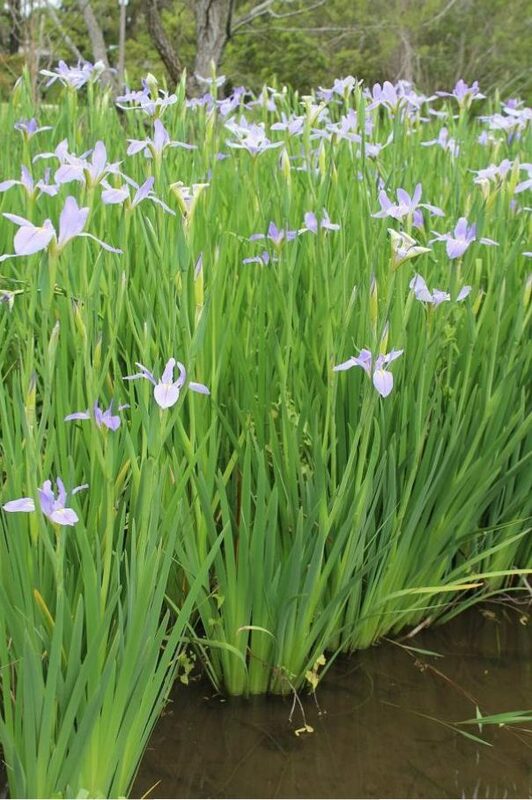 A stormwater wetland improves water quality by using aquatic plants to remove sediment and contaminants from runoff before it reaches local waterways, bayous and bays. The wetland is designed to have large shallow areas (shelves) along its banks for dense planting of wetland plants, as well as deeper sections which hold water between rains. This creates wetland habitat for local wildlife and recreation for local residents, in addition to its role to hold excessive rainwater runoff in emergency situations. 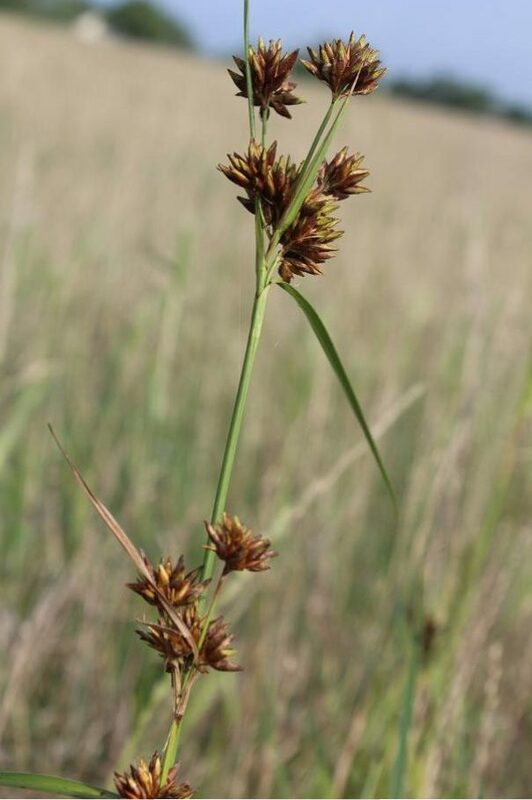 and uncommon species such as Indianola Beaksedge (Rhynchospora indianolensis) and Buttonbush Flatsedge (Cyperus cephalanthus). 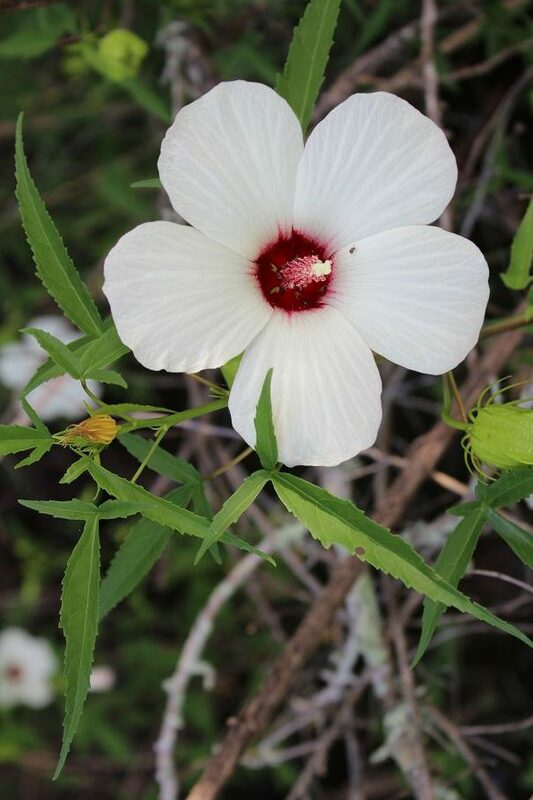 The wetland plant nursery has been supported by the Texas General Land Office Coastal Management Program, the Galveston Bay Estuary Program, Texas Sea Grant, the Texas Master Naturalists, and others.